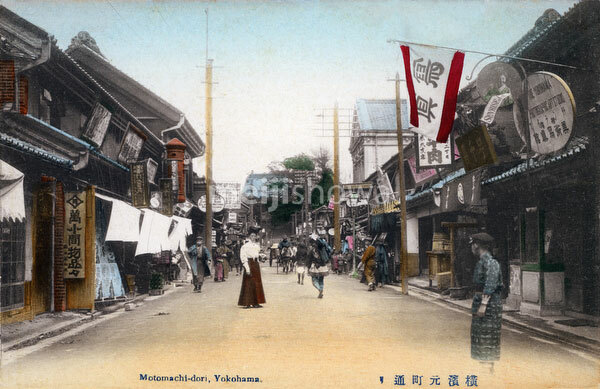 A Western woman in front of the Kamigataya (上方屋) postcard shop in Motomachi, Yokohama, Kanagawa Prefecture. On the right is the Yokohama Photographic Art Studio. In the back the buddhist temple Zotokuin (増徳院) is visible.